Alfa Romeo’s new Giulia saloon is just months away from being frozen into its final form and committed to production for a 2014 launch. The new BMW 3-series rival is evidence that Fiat Group boss Sergio Marchionne remains determined to revive the ailing brand. The Giulia will be the first all-new mainstream model launched under Alfa’s revival plan. The saloon, plus the mid-engined 4C sports car (due on sale in early 2014) and the reborn Spider (2015), are intended to put Alfa Romeo firmly back in contention as a viable global premium brand. The front-drive Giulia (the name is used internally but is not final) will arrive as a saloon first and then a Sportwagon. Prices are expected to kick off at around £22,000 for the entry-level 120bhp 1.4-litre MultiAir version. In addition to this familiar unit, the Giulia will be powered by a series of new turbocharged petrol engines exclusive to the Alfa brand, including an updated version of the highly regarded 1750 TBi unit used in the defunct 159 and Brera, as well as Fiat’s own diesel powertrains. Marchionne recently revealed that, in future, Alfa will benefit from a range of engines that are not shared with Fiat-branded cars. However, with Fiat seemingly shrinking back to a core range of Panda and 500-series vehicles, any future clash between them is unlikely. The Giulia will also use a new MultiAir version of Chrysler’s latest Pentastar petrol V6, though this engine may not make it to Europe. Four-wheel drive will be an option on the Giulia, and is particularly important if Alfa is to successfully relaunch itself in North America. The new car will aim to compete with the Audi A4 and BMW 3-series in Europe’s compact executive sector. This market is still very healthy, in stark contrast to the mainstream European D-sector market, dominated by cars such as the Ford Mondeo, which is shrinking fast. 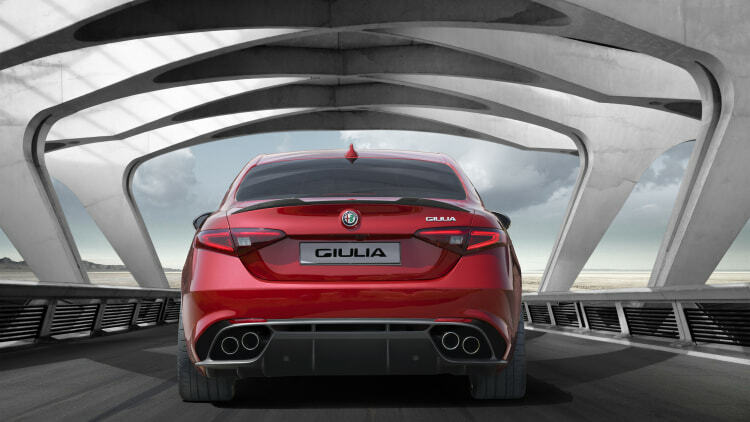 The key to the Giulia being taken seriously in established premium company is an updated version of the sophisticated ‘Compact’ platform that underpins the Giulietta. Fiat says 90 per cent of the platform is made up of ‘high-strength’ materials, featuring such technical niceties as a cast aluminium ‘shear plate’ to brace the front chassis legs, greatly improving rigidity for better steering and suspension control. The Giulia’s underpinnings are the third iteration of this architecture. The second-generation Compact platform, which is wider than the Giulietta platform, currently underpins the Dodge Dart and the Chinese-market Fiat Viaggio. The Giulia gets a further update of the Dart platform, with a longer wheelbase and a rumoured complete upgrade of the independent rear suspension. The car’s final look — which has been agonised over by Fiat Group bosses — is expected to be finalised this autumn, when the production process is set to begin. A thinly disguised version of the final car is expected to be unveiled in the middle of next year. The new Alfa could be made alongside the Dodge Dart at Chrysler’s plant in Belvidere, Illinois. Officially, Fiat says this is possible, but no decision has been made. In truth, building the Giulia in the US will give a huge boost to the chances of a successful relaunch of Alfa there after the brand pulled out of North America in 1995. Building the Giulia in Europe then shipping it to the US would undermine profitability, and greater economies of scale can be achieved by building the car alongside its Dodge cousin. The Giulia is also likely to spearhead the introduction of Alfa to the Chinese market, with local production alongside the Viaggio (the Chinese version of the Dodge Dart) a racing certainty. Although this one does look pretty good. The guys over at Auto Express decided to have a go and imagine how the Giulia model could look, besides adding some juicy details about the upcoming 3 Series rival. 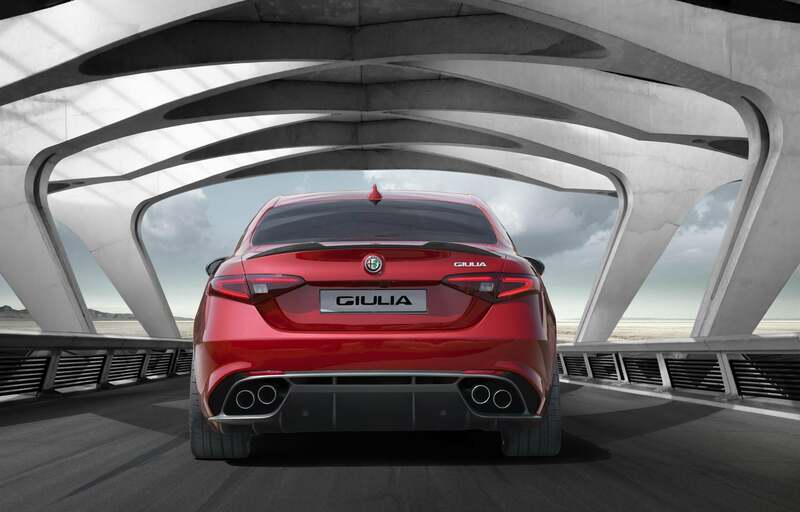 The Giulia mid size sedan is a very important model in Alfa Rome’s bounce strategy – as the Italian sports car manufacturer seeks to overcome the shadow cast over its sales. Besides the all-new 4C sports car, which is astounding but will be limited to a niche status, Fiat Chrysler Automobiles needs Alfa to strike in the densely populated mid size car sector. So, the Giulia will be pitted against the well known German A4, 3 Series, C Class trio – but will most likely battle another underdog – the British Jaguar XE. Also, the rear-wheel drive sedan aims to make a dent into the very large US and Chinese markets. With Giulia as the first mainstream model in Alfa’s revival plan, besides the already launched 4C and 2015 due Spider, all models aim to make the Italian brand a global player again. Alfa Romeo's next-generation Giulia sedan will spawn a performance variant aimed at the BMW M3, a new report finds. 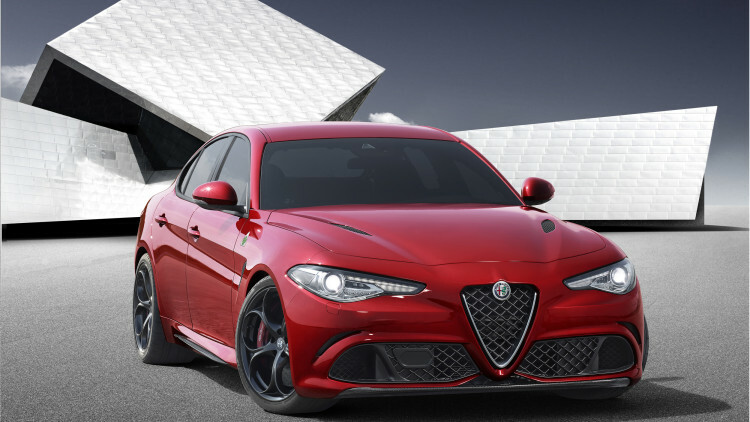 Fiat Chrysler's five-year plan has already revealed that Alfa Romeo will field a new BMW 3-Series competitor, but a new report from Auto Express indicates the Italian automaker won't stop there. In order to compete at the top end with the M3, Alfa is developing a souped-up Giulia GTA model. Riding on the same rear-wheel drive platform that will underpin the standard Giulia, the GTA will up the sedan's performance quotient thanks to a Ferrari-designed 3.0L V6 typically found beneath the hood of the Maserati Ghibli. Huffing through a pair of turbos, the six-cylinder is expected to generate between 480 and 520 horsepower in the Giulia GTA. In addition to being more powerful than the M3, the GTA will also be lighter, which should help with handling and overall economy. Early speculation suggests the Giulia GTA will be able to accelerate from 0-60 in under 4-seconds, besting its German rival. Unlike the M3, however, the Giulia GTA will ship with a dual-clutch transmission rather than a manual gearbox. A limited-slip differential will be made standard to help with traction. Pricing for the Alfa Romeo Giulia GTA will start from about £50,000, undercutting the M3 by about £6,000. 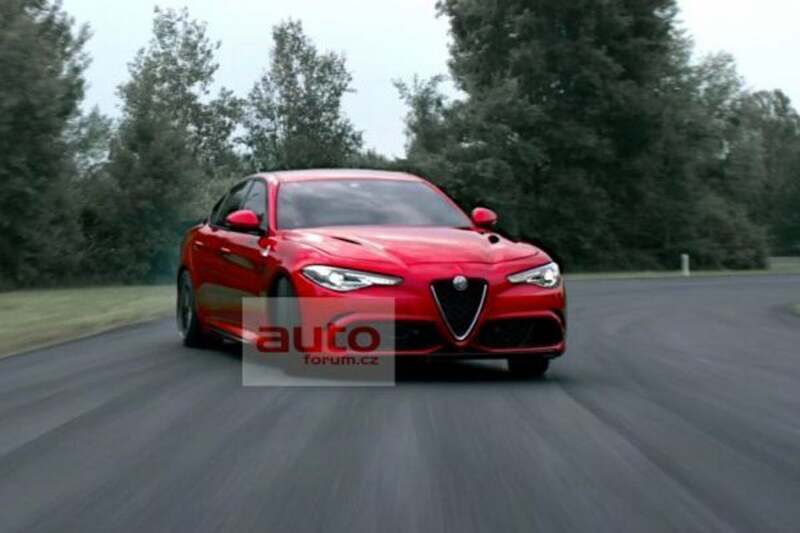 Given that pricing position, it seems safe to assume that the GTA would list for a few thousand less than the $62,000 M3 if Alfa decides to sell its super sedan in the United States. Alfa Romeo's all-new Giulia is expected to debut in late 2015. Wow. I'm really digging it. The 2016 Alfa Romeo Giulia has been spied for the first time and it was wearing a Maserati Ghibli body. At a first glance this might look like a prototype for some sort of Maserati Ghibli derivative but in reality it's a test mule for the much debated Alfa Romeo Giulia. The vehicle was spotted at a gas station getting a diesel refill and as you can see the body is significantly shorter and narrower than the Ghibli. Sitting on 17-inch alloy wheels, this Giulia test mule had a dual exhaust setup and an unfinished interior cabin with a steering wheel sourced from Jeep. Codenamed "Tipo 952", the model is expected to ride on a newly developed rear-wheel drive platform called "Giorgio" which will also support the implementation of an AWD setup. The platform is actually being developed by Maserati and will be used also on future Chrysler and Dodge products. Alfa Romeo's Giulia will be the first model to ride on the new platform and will be powered by a variety of four-cylinder gasoline and diesel engines. A range-topping GTA variant is expected to come with a V6 3.0-liter twin-turbo engine from Maserati which will develop 480 - 520 bhp (358 - 387 kW). This will be a rear-wheel drive car with a dual-clutch gearbox and a limited slip differential, helping the high performance compact sedan hit 62 mph (100 km/h) from a standstill in less than four seconds. 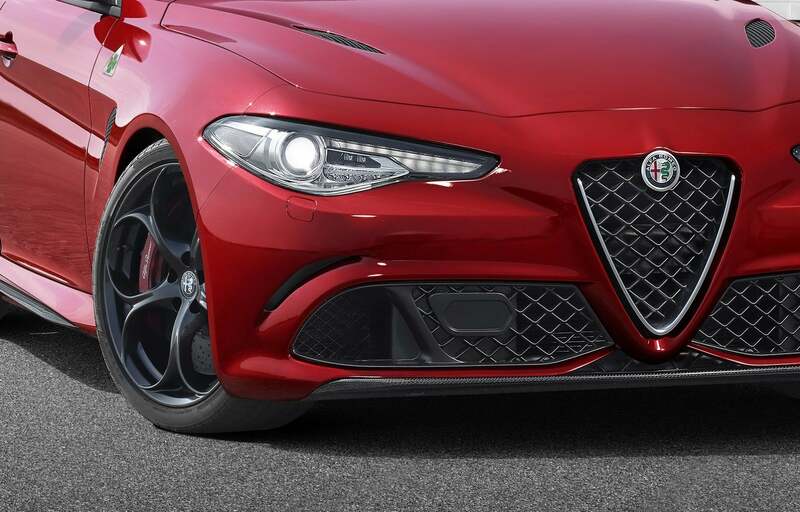 Details about the car's design are not available at this point but Fiat Chrysler Group head of global design, Lorenzo Ramaciotti, said the Giulia is a "styling challenge" and "has to be remarkable but stand the test of time." 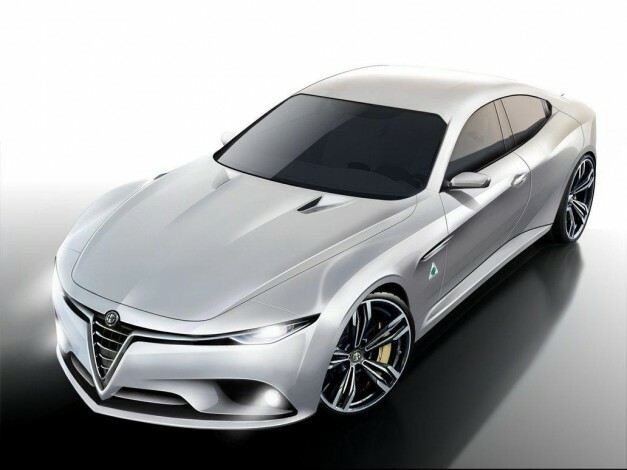 As a reminder, students at European Design Institute (IED) in collaboration with Alfa Styling Center revealed more than a year ago the Alfa Romeo Gloria concept which is believed to serve as a preview for the Giulia's styling. The beautiful concept was 4700mm long, 1920mm wide, 1320mm tall and had a 2900mm wheelbase. Acting as a 159 replacement, the Alfa Romeo Giulia is going to be commercialized as a global model, including in the United States and Asia. It's scheduled to go on sale as a 2016 model year so it will probably be revealed in the first half of next year. Anyway, the GTA sounds like it's going to be fantastic! I can't wait to see them in the U.S. (along with the 4C, of course). The revived Alfa Romeo Giulia has been rendered once again ahead of next year's possible launch. 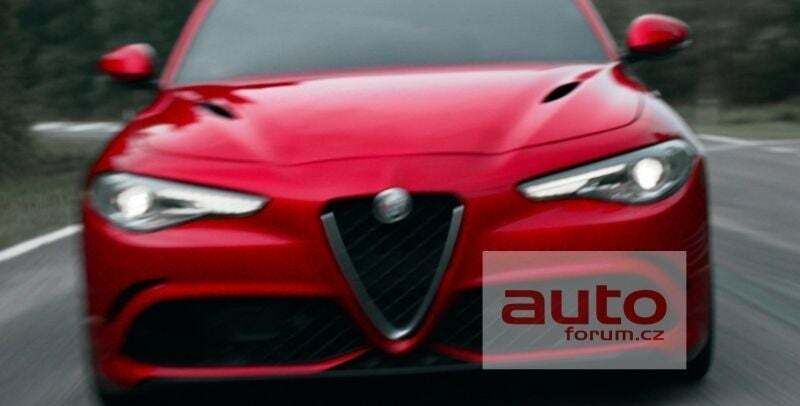 A new sedan wearing the Alfa Romeo badge is long overdue but we won't have to wait that much longer as the Italian marque has confirmed an all-new model for 2015 and chances are it will be the Giulia. Codenamed "Tipo 952", the vehicle has already been spotted testing wearing the Maserati Ghibli body and now it has been rendered once again but this time with more down-to-earth looks compared to previous renders. Sitting on the new Maserati-developed Giorgio platform, the rear-wheel drive Alfa Romeo Giulia will be powered by several four-cylinder gasoline and diesel turbocharged engines which will be topped by a twin-turbo V6 3.0-liter with 480 - 520 bhp (358 - 387 kW) in the rumored GTA variant. This flagship derivative is expected to get a limited slip differential and a dual-clutch gearbox while the 0-62 mph (0-100 km/h) sprint should take less than four seconds, a time which sounds a bit overoptimistic. Expect the Alfa Romeo Giulia to show up at a major auto show next year, possibly in Geneva (March) or Frankfurt (September). A recent report indicates Alfa Romeo will introduce a midsize sedan June next year. Back in September we heard a similarrumor from Italian media about a new model wearing the Alfa Romeo badge scheduled to be unveiled on June 24, 2015. So far we referred to this model as the "Giulia" but according to Automotive News Europe it will probably be commercialized with a different moniker. It is believed the vehicle will take the shape of a mid-size sedan slotted in terms of dimensions between the BMW 3-Series and 5-Series. Codenamed "Tipo 952", the model has already been spotted testing with a Maserati Ghibli body and it will ride on the rear-wheel drive Giorgio platform developed by Maserati and compatible with an AWD layout. The engine lineup is expected to comprise four-cylinder gasoline and diesel engines, topped by a twin-turbo V6 3.0-liter in a hot GTA version packing as much as 520 bhp (387 kW). Since a reveal is set for June, Alfa's 159 replacement will likely go on sale towards the end of the year and will be followed by an Audi Q5-sized SUV, a flagship sedan (with a size between BMW 5-Series and 7-Series) along with five other models (including a full-size SUV) until 2018. 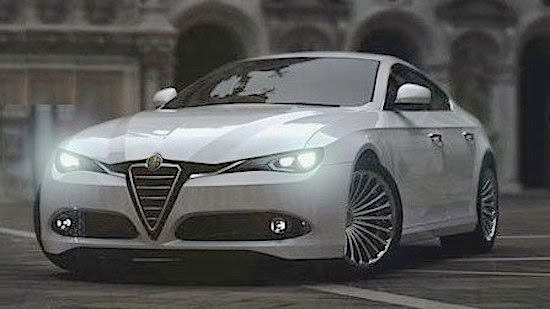 Alfa Romeo is known to be working on a new midsize sedan to compete against the BMW 5-Series and Mercedes-Benz E-Class. However, rumors have been bouncing back and forth as to what Alfa will call the new sedan, which continues the brand’s onslaught of introducing new models in the US amid their big reintroduction. Nothing has been confirmed however, though the “6C” moniker is said to stand for the model’s only offering of V6 motors. But again, nothing’s official. Italian media is reporting Alfa Romeo still hasn't decided how to name its highly anticipated sedan due to be unveiled on June 24. It seems there's a bit of a dispute between Alfa Romeo and the bosses at Fiat Chrysler Automobiles (FCA) regarding the new model's name as the two parties simply can't reach an agreement. According to AutoEdizione, Alfa Romeo wants to use "Giulia" because it has an important historical meaning whereas FCA would like to use a numeric indication to better point out the model wants to go up against the Germans. FCA's design chief Lorenzo Ramaciotti has expressed his desire for "Giulia" but admits a final decision has not been taken yet, even though production of the model will kick off this spring at the Cassino factory near Rome while an official reveal is scheduled for June 24. As for the car itself, it will serve as a successor for the defunct 159 and will be bigger than a BMW 3-Series but smaller than a 5-Series. The model is bound to ride on the rear-wheel drive Giorgio platform developed by Maserati and select versions will get AWD. Codenamed "Tipo 952", the new Alfa Romeo model will reportedly spawn a GTA version with a twin-turbo V6 3.0-liter developing as much as 520 bhp (387 kW). Rumors about the Alfa Romeo Giulia flagship have been swirling around for years but new details are starting to emerge about the highly-anticipated Italian vehicle. According to a new report, the car will be available with a new 1.8-liter biturbo petrol engine. It will be fitted with a smaller turbine for the lower rpm and a larger one, operating at medium and high rpm. They will be supported by a variable intake and exhaust valves for a total output of 300 PS (220 kW) at 5,600 rpm and 400 Nm (295 lb-ft) at 3,800 rpm. The new engine will meet the Euro 6 standards. Mated to a dual-clutch automatic gearbox, it will provide a 0-100 km/h (0-62 mph) acceleration in six seconds. Top speed will be electronically limited to 245 km/h (152 mph). In addition to that engine, the Giulia (name not confirmed) will also be offered with a single turbo version with 240 PS (177 PS), as well as a range-topping 3.0-liter V6 twin-turbo powerplant, rated at around 526 PS (387 kW). The debut of the car is fast approaching as it is expected to happen in June this year. The model will be based on the Giorgio rear-wheel drive platform. Note: Alfa Romeo Giulia rendering pictured. A prototype of what appears to be the new Alfa Romeo Giulia has been photographed testing. While we can’t be entirely sure, this could be the first time we are seeing the 159 replacement wearing its production body. Still looking like a shorter Maserati Ghibli, the car features the typical Alfa Romeo front end with three-cornered central grille where the logo of the Italian brand will be mounted. The headlights are camouflaged, which suggests that maybe this time the prototype is equipped with the production lights instead of the Ghibli lamps seen on the previous test mules. Codenamed ‘Tipo 952’, the model is expected to come with the Giulia moniker in Europe, but this hasn’t been confirmed yet. The car is scheduled for a debut on June 24 and will likely be offered with three petrol engines – 1.8-liter turbo with 240 PS (177 PS), 1.8-liter biturbo with 300 PS (220 kW) and a range-topping 3.0-liter V6 twin-turbo powerplant, rated at around 526 PS (387 kW). A range of diesel units is also in the cards. 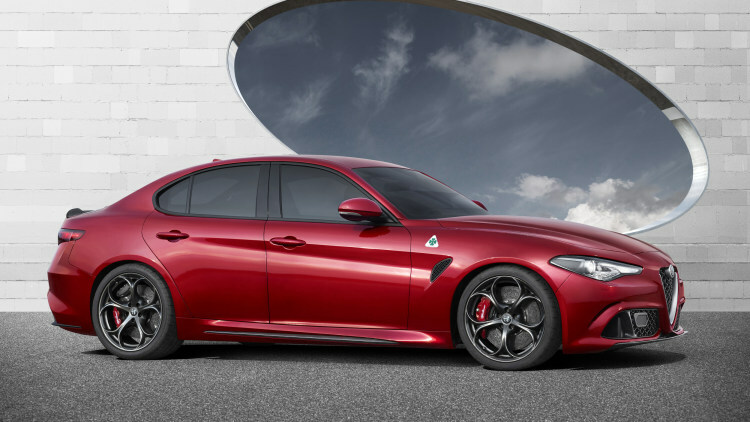 Alfa Romeo has announced the upcoming mid-size sedan will be offered with a V6 engine developed by Ferrari. Tentatively known as "Giulia", Alfa Romeo's all-new sedan is almost ready to show its production face as the model will be unveiled on June 24 at the Expo Milan. Alfa Romeo and Maserati boss Harald Wester describes German premium mid-size models as being "mostly cold and clinical… these cars have no soul" and the new Alfa will be just the opposite of its rivals. It is expected to go on sale in the spring of 2016 and will be available in a hotter specification equipped with a Ferrari-derived V6 engine which is believed to be the same unit that will power the already confirmed Dino reboot. The prancing horse will reportedly get a twin-turbo setup with approximately 500 bhp (373 kW), but most likely Alfa's version is going to pack less punch. The base Giulia will use an "advanced, high-output four-cylinder engine" which will act as a replacement for Alfa Romeo's 1.75-liter inside the 4C. In its highest state of tune, the new motor should be good enough for up to 298 bhp (222 kW). The all-new model will ride on a Maserati-developed platform and come with a standard rear-wheel drive layout, but in select markets there's going to be an optional AWD setup. Sales of the Alfa Romeo Giulia (name not confirmed) are slated to commence in the spring of 2016 for Europe while United States will get it in the first quarter of 2017 with possibly a different moniker. 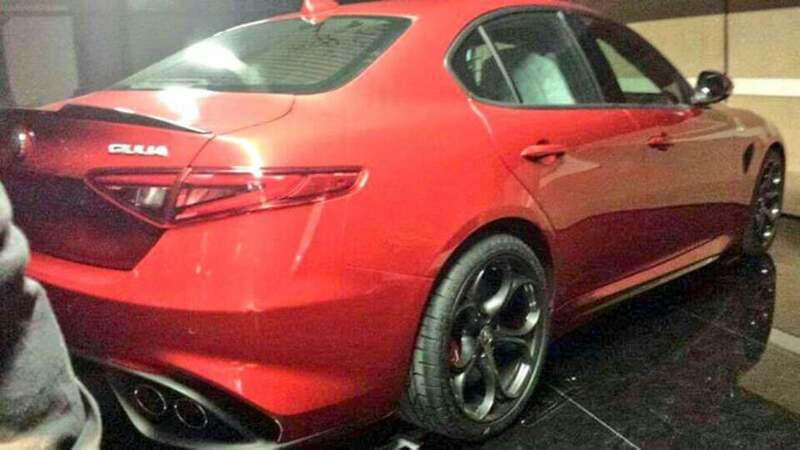 The Alfa Romeo Giulia has leaked to the web ahead of its official unveiling tomorrow. 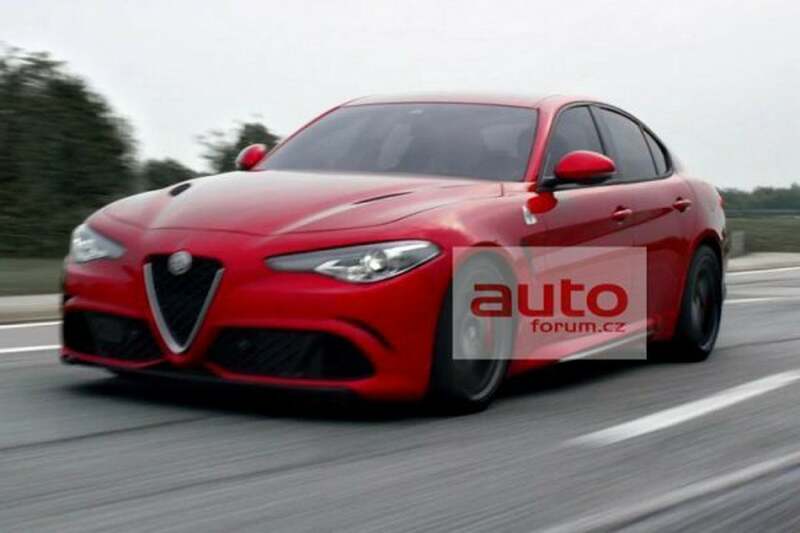 The pictures aren't of the best quality but we can see the highly-anticipated Quadrifoglio Verde variant will have front fender vents, a four-tailpipe exhaust system and a trunk-mounted spoiler. The model also has familiar wheels, a shark fin antenna and what appears to be a rear diffuser. Full details will be released tomorrow but previous reports have suggested the car will be offered with a variety of turbocharged four- and six-cylinder engines with outputs up to 526 PS (387 kW). We’re still waiting on today’s full reveal of the Alfa Romeo Giulia sport sedan, but we now know that right away, it won’t be screwing around. Apparently the car will launch with a 510 horsepower, twin-turbo performance version designed to fight the BMW M3. Che bella! Other versions of the Giulia will get 2.0-liter four-cylinder and V6 power. It’s based on an all-new platform that will come in rear-wheel drive and all-wheel drive versions. More on this as it comes in. Get excited, and learn to pronounce things in Italian. 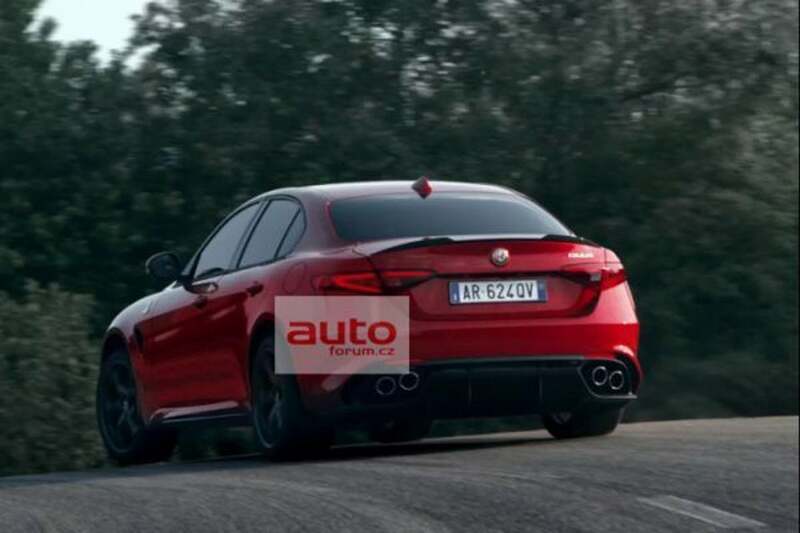 After a very blurry, accidental photo debut just yesterday, Alfa Romeo let loose the first official images and information about the upcoming Giulia. And she's a looker. We've got a man on the ground in Milan for the reveal who'll be bringing us more about the Giulia later on, but in the meantime let's take a look at the facts. Alfa's rakish new sedan certainly offers enough performance to justify the fast-standing-still styling. The car's turbocharged V6 produces 510 horsepower (we're assuming that's a metric figure), and pushes the car to 62 miles per hour in just 3.9 seconds. That's the top-of-the-line engine said to be introduced on the high-performance Quadrifoglio version of the car. That quick acceleration is at least partially down to a very impressive curb weight. Alfa hasn't given us an official figure, per se, but does mention that the Giulia has a weight-to-power ratio "lower than 3kg/hp." Doing the math, that would put the Italian under 3,400 pounds, which is impressive. We know from Alfa's US-spec 4C that the sedan might gain a bit of heft in its cross-Atlantic translation, but if its even in that ballpark, we'll be excited. Handling should be excellent, too, at least as far as we can tell from the case made on paper. The company boasts a 50/50 front/rear weight distribution, with a multi-link rear suspension and double wishbones up front. We're also promised "rapid, accurate steering" which, again, is borne out by the 4C. Touted as a competitor to the BMW 3 Series (an M3 competitor in this spec), the Giulia will be available as a rear-wheel-drive vehicle as standard, of course. But an optional all-wheel-drive setup is also in the cards. It features a rear differential with torque vectoring, an active front splitter to maximize aerodynamics at high speeds, and something called Chassis Domain Control to run all of the systems. The Giulia even gets F1-style knobs to adjust all of the adaptive settings, mounted on the steering wheel. You'll have to decide for yourself if flowing, long-hood-short-deck styling works, but we think it's excellent (at least based on the first few images). Find a bit more detail about the upcoming Giulia in the press release below, and expect more from Milan, shortly.